Eboman comes to Splice! A luminary and pioneer in the world of AV performance since the mid-90’s, Dutch artist Jeroen Hofs joins us to discuss and demo EboSuite. In this presentation talk/q&a/workshop session, Hofs will show EboSuite, his video sampling, edit, mix and visual effects software aimed specifically at musicians and audiovisual performers using Ableton. Ebsosuite consists of a growing set of plug-ins that provide an unrivalled way of integrating video into live shows and music productions. 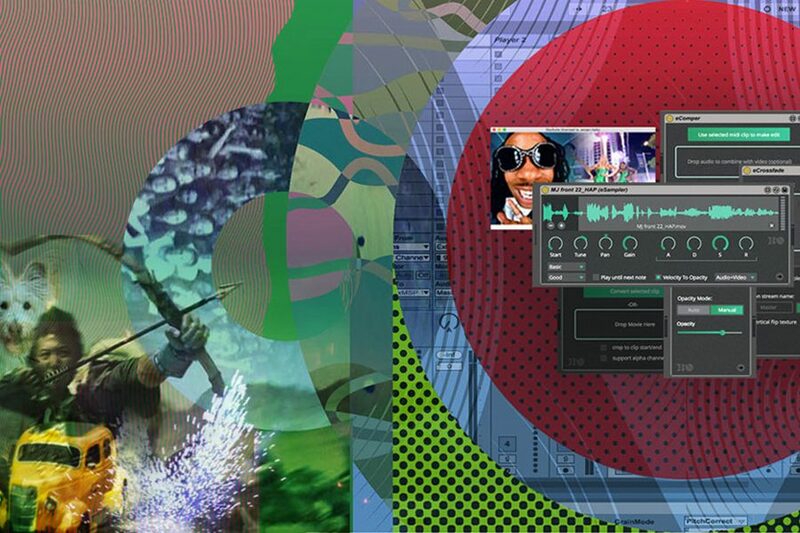 It enables musicians and AV artists to produce/perform their own video clips and visual music without having to learn about complex video editing or VJ software, in fact everything needed to create and perform AV compositions can be done straight from Ableton Live. If you wish to test the application on the fly, it is recommended that participants their bring Mac laptop and headphones. Don’t miss – Eboman Live AV Performance on Friday 11th May at Rich Mix.